Open Computer Lab Every Wednesday! 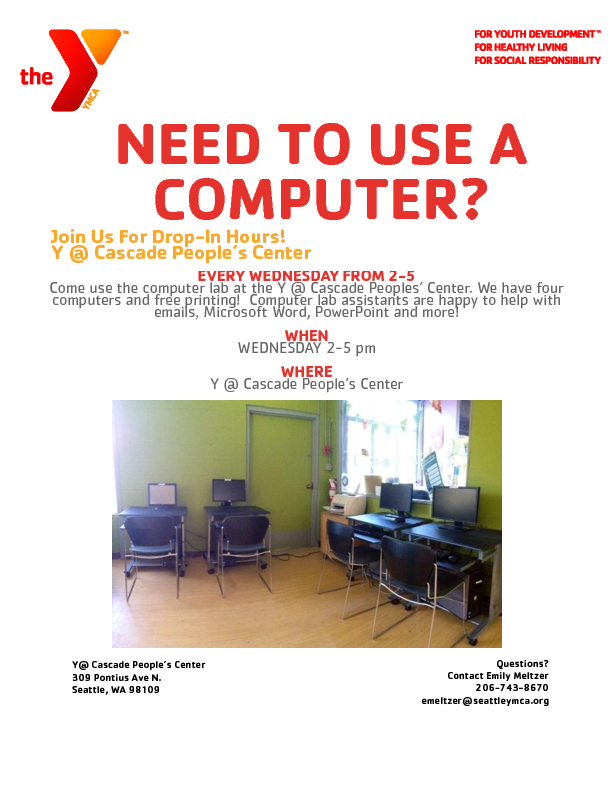 We are proud to announce that we will have free open computer lab hours every Wednesday from 2-5. Computers have internet access, printing and Microsoft Office. Assistants will be available for any questions or help!